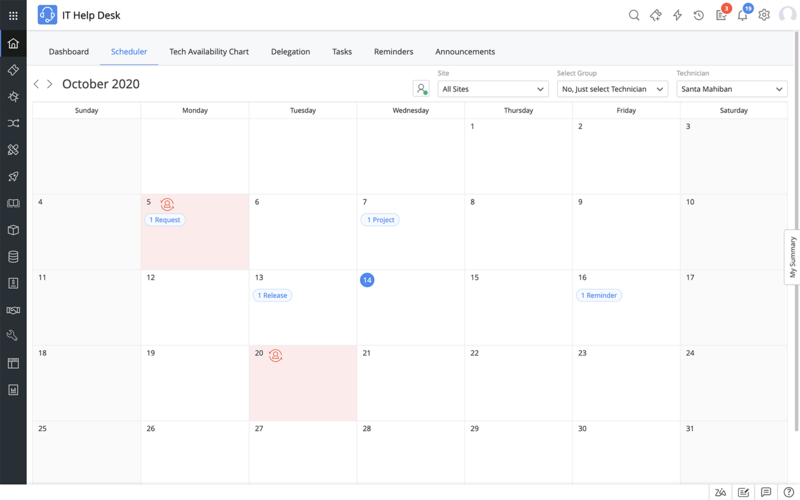 Get a calendar view of open requests, problems, changes, tasks, and reminders assigned to a technician for a given month. View this information based on sites and support groups. Manage technician availability by marking leave of absence right within the calendar. Create tasks and configure reminders to get notified of the tasks in advance. Reassign tickets, tasks, problems, and changes without having to navigate screens. Assign backup technicians to handle tickets of unavailable technicians. We're really enjoying using ServiceDesk Plus. It really helps us nail our ITIL processes down harder, enables far more accurate reporting, and the technicians get a lot more out of it than our old help desk.